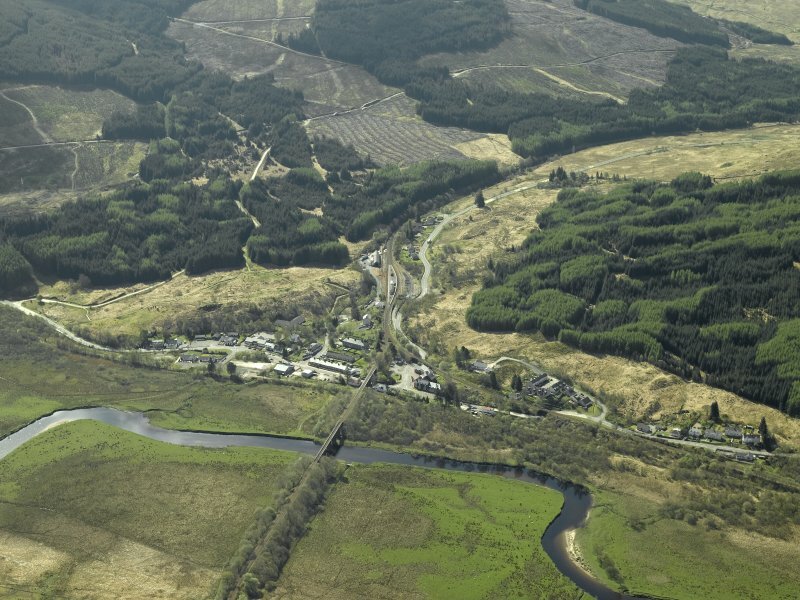 General oblique aerial view of the village centred on the railway viaduct, taken from the NNE. 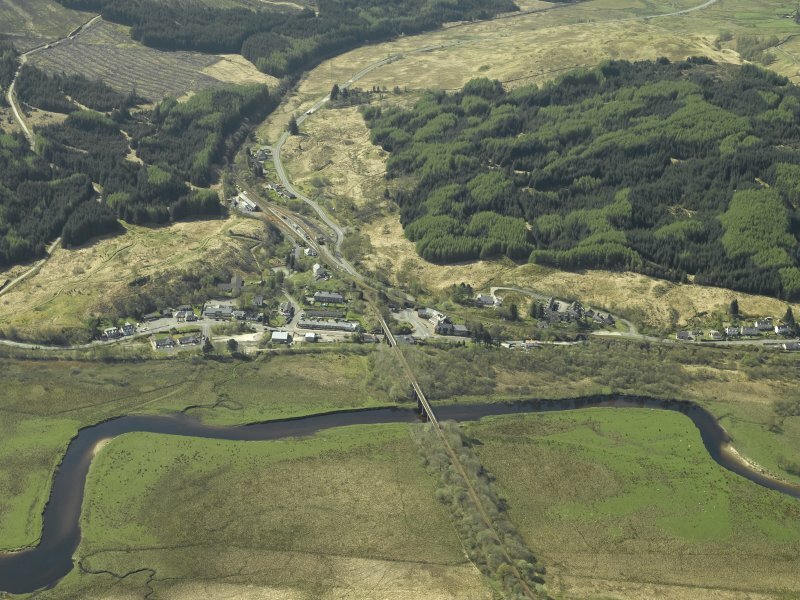 General oblique aerial view of the village centred on the railway viaduct, taken from the N.
General oblique aerial view of the village centred on the railway viaduct, taken from the NE. 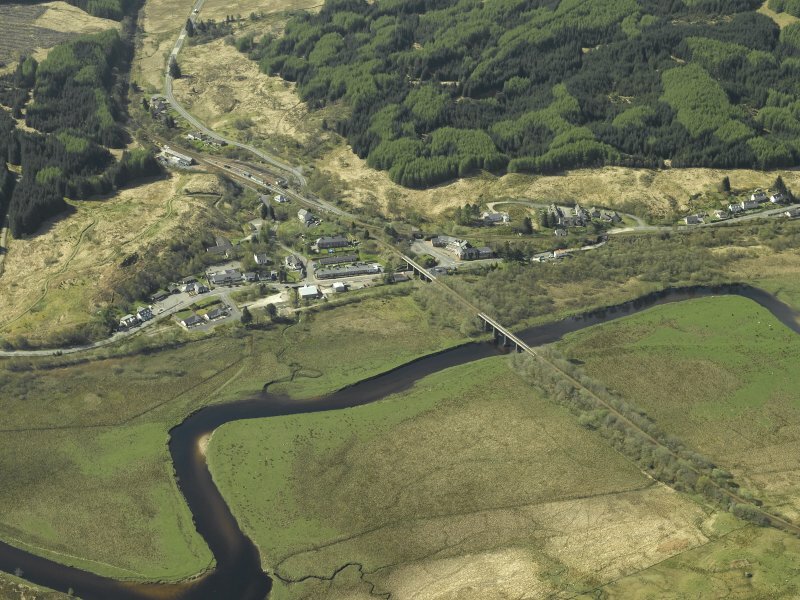 This viaduct was built by Formans & McCall of Glasgow (engineers), Lucas & Aird of London (contractors) and Alexander Findlay & Co of Motherwell (steelworkers) to carry the West Highland Rly (a subsidiary of the North British Rly) across the River Fillan; it opened on 11 August 1894, and remains in use. It is of lattice girder type and its 63 yd (57.6m) length comprises five spans of 35 ft (10.6m).